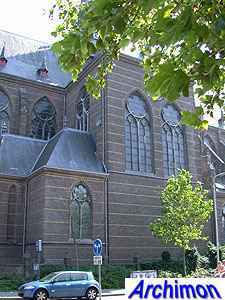 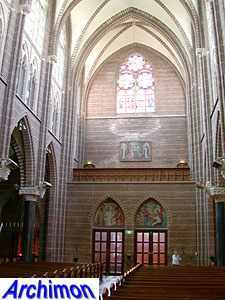 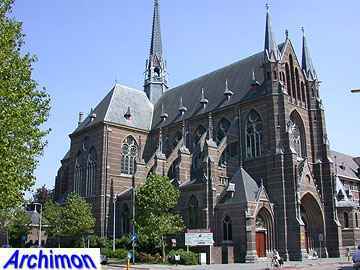 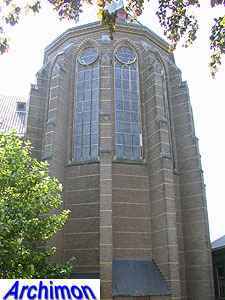 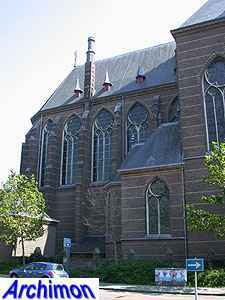 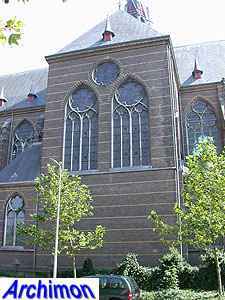 In 1580 the protestants closed the Dominican monastery of Zwolle. 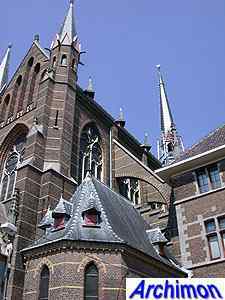 In 1890 the order finaly returned and built a new monastery just outside the old town. 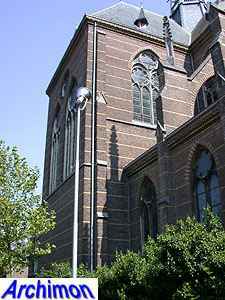 The new complex was designed by J. Kayser in conjunction with German architect C.C. 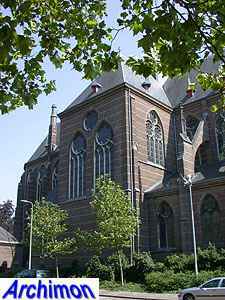 Pickel and included this church, the first stone for which was laid in 1900. 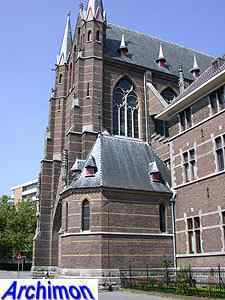 Like the rest of the monastery, the church is in neo-Gothic style. 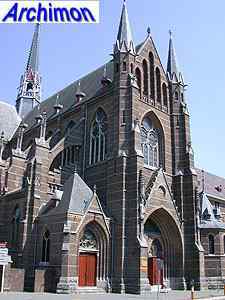 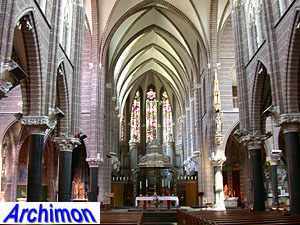 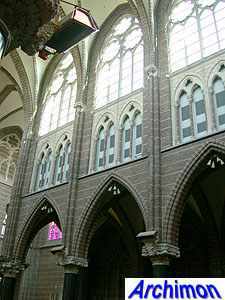 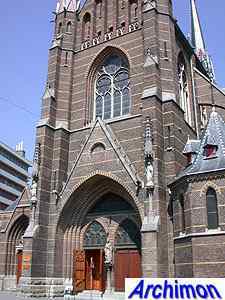 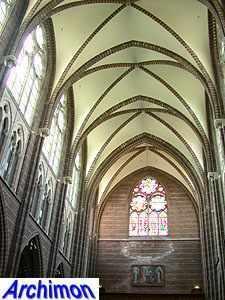 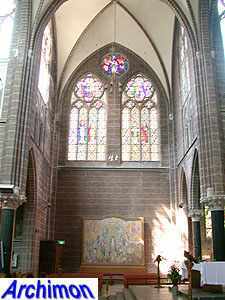 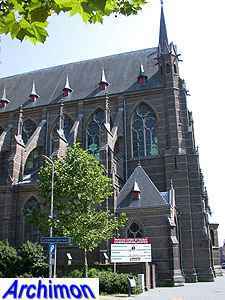 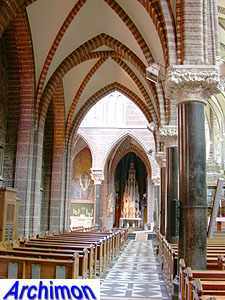 Although Kayser for many of his churches used a neo-Gothic style that was inspired by brick Gothic architecture in Northern Germany, this church is much closer to classic French Gothicism. 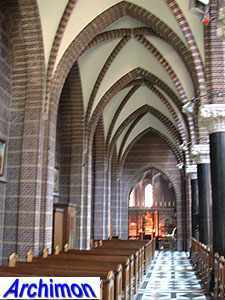 It is not known what Pickel's contribution to the design was. 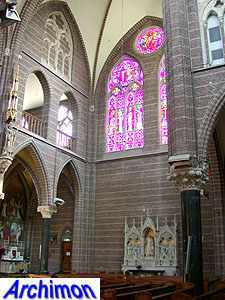 It's a three-aisled cruciform basilica with a long choir. 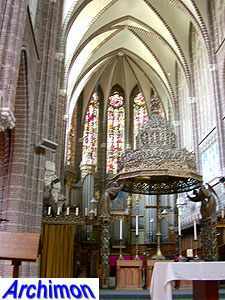 Instead of a real tower, which are traditionally absent at Dominican churches, it has a tall steeple on the crossing.